Jeep is back but not like the Kiss Comeback Tour. I’m talking numbers here. 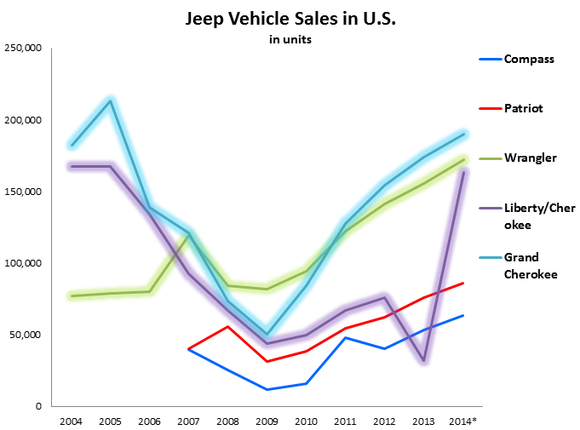 Jeep sales have soared 44% since last year powered by the new Cherokee and a revamped version of the 2013 Grand Cherokee model. This resurgence comes only 6 years after Chrysler was on the brink of extinction, SUVs were kicked to the curb, gas prices soared and models like the Grand Cherokee and Wrangler suffered. This period turned out to be the wake up call for Jeep as new models were designed that now emphasized MPGs with manliness. 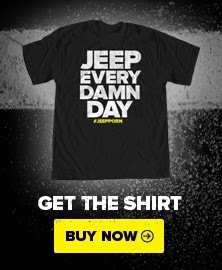 What’s more impressive is that Jeep did not run scared, never fearing to make modifications on products that worked. In 2017 The Wrangler, for instance, is scheduled to be engineered with a lighter frame for even better fuel economy and this 4x4 monster sells as consistently as Michael Jordan hits his jumper. These alterations have lead to innovated vehicle concepts such as the Renegade (2015) and the anticipated Grand Wagoneer (2018). These additions place Jeep in the ring to wrestle with the big boys of American made cars like Ford and Chevy. Since 2013, even though Jeep sales have sky-rocketed past their American competitors, skeptics view their success as a fluke because other car companies can produce different styled models whereas Jeep is limited to 4x4 crossovers and SUVs. (This is why Jeep needs a truck). Only time will determine how far Jeep innovation can continue to push sales but until that time comes the critics can shove their opinions up their tail-pipe!